The LMU offers single rooms for a rental price of € 410,00 one month. 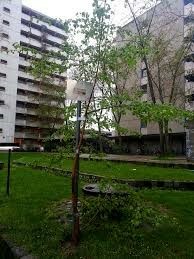 The single rooms are a located in different student residences of the Studentenwerk München, close to bus or subway stations with a good connection to the univer sity. The rooms are only available for students of the Study Preparation Program and only for one month from September 2nd - 28th, 2019. LMU Erasmus/LMUexchange students have to apply for accommodation together with their study application form. Please tick the appropriate box in the student application. Information Only if the room application was not successful LMU students are able to apply for a one month accommodation together with the Study Preparation Program. Please note that all student rooms are geared towards student needs and financial means. As such d o not expect dorms to meet claims on luxury comfort. Arrival: September 2nd, 2019 between 2:00 p.m. - 7:00 p.m.
We request that participants arrive on September 2nd so that they have enough time to settle in, to get to know the other participants or start exploring the city. All students will get detailed information in August. 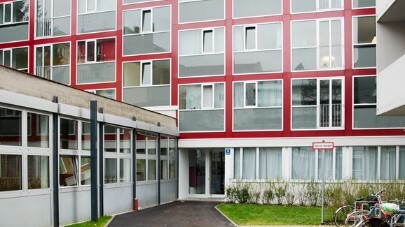 You have applied for housing with your application for Erasmus/ LMU Exchange at the International Office of the LMU. You apply for housing with us, the IUCM, for September as a “backup” solution. In case you will nevertheless receive housing directly from the International Office of the LMU, your application for housing with us will automatically be cancelled.